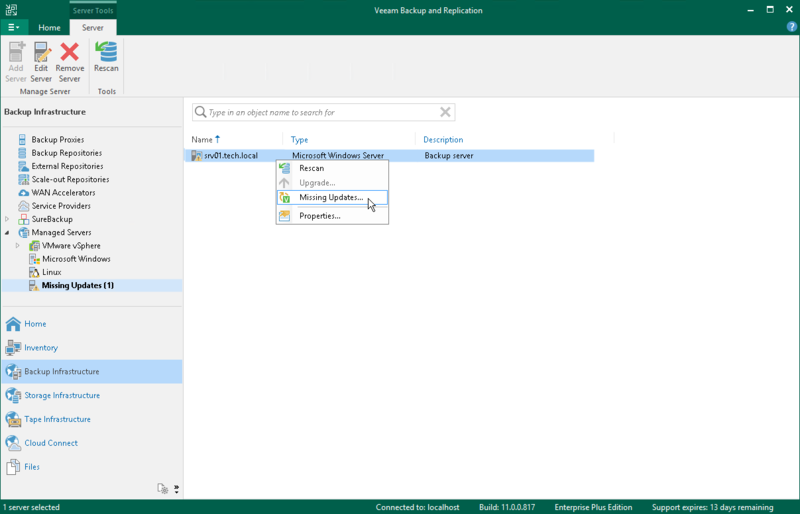 Veeam Backup & Replication uses update notifications to inform you about new versions of Veeam Backup & Replication, new product patches and Microsoft Hyper-V hypervisor updates. When a new version of Veeam Backup & Replication or a new product patch becomes available on the website, Veeam Backup & Replication displays an icon in the system tray. An icon is displayed once a week. To install a product update, double-click the Veeam Backup & Replication icon in the system tray. Veeam Backup & Replication will open a KB webpage with the update description and links to the installation archive of the new product version or new patch. Veeam Backup & Replication notifies about hypervisor updates that should be installed on Microsoft Hyper-V hosts and off-host backup proxies. If a Microsoft Hyper-V host or off-host backup proxy added to the backup infrastructure misses important hypervisor fixes and patches that can potentially affect work of Veeam Backup & Replication, Veeam Backup & Replication displays a warning icon over the host or off-host proxy in the inventory pane. In the Backup Infrastructure view, select a host or off-host backup proxy and click Missing Updates on the ribbon. To install an update, click the update link. Veeam Backup & Replication will open a webpage with the update description and download link. To ignore the update, select it in the list and click Dismiss. Veeam Backup & Replication will remove the update from the list and will not inform you about it anymore. To ignore all updates, click Dismiss All. To bring the list of updates to its initial state, click Re-Check. Veeam Backup & Replication will display all updates, including those that have been dismissed. To copy update list details, click Copy to Clipboard. 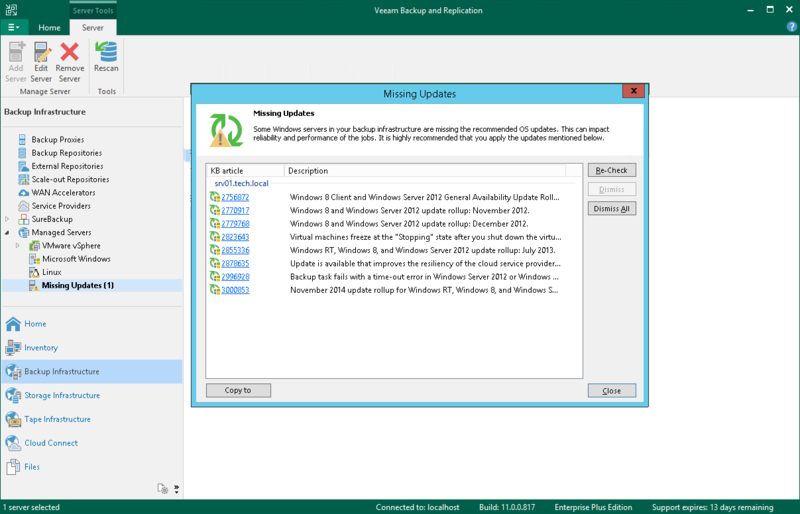 Beside hypervisor updates, in the Missing Updates list Veeam Backup & Replication displays information about new Veeam Backup & Replication versions and patches. 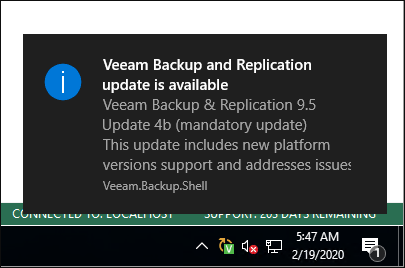 Click the corresponding link in the list, and Veeam Backup & Replication will open a webpage with the product update description and links to the installation archive.